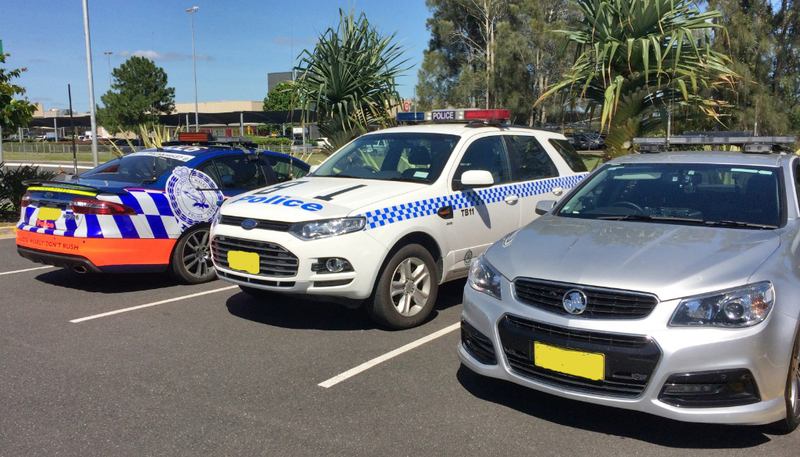 Sat down at McDonalds in Ballina (northern NSW) recently to chat with four of our finest in blue about their assigned patrol cars. Parked up for a coffee stop was the latest Ford Falcon XR6 turbo, Holden Commodore V8 and Ford Territory diesel. These guys are in the cars every day and often swap cars for various duties. As far as I'm concerned these are very useful 'User Comments' because they drive 'em fast, slow, and around town. I was interested in their high and low points, and any freely offered opinions. All three cars will begin to disappear from the Australian motoring landscape from the end of 2017, so as they pass from view I thought these reflections were particuarly poingnant. FIRST SERGEANT (Commodore driver): "I love the handling, and the ride. It's clearly the best-handling police car I've driven, and once you've gone through the first set of brake discs, the brakes are awesome. However, quite frankly, I like the powertrain on the Falcon best. That turbo six is really smooth. Despite that, the V8 really moves when you take off." SECOND SERGEANT (Territory driver): This has got to be the best compromise for ride and handling. This SUV really does drive like a car, and I am very surprised how comfortable it is. The diesel engine is fantastic. I thought it would be slow off the mark, but the six-speed auto is well matched to the engine. I would definately buy one for personal use." THIRD SERGEANT (Falcon XR6 turbo driver): "I'd like to marry the Falcon's powertrain with the Commodore's ride and handling package. In a pursuit, the Falcon tends to lurch and roll much more than the Commodore, and I don't think it is as precise in the handling. Also, the seats in the Commodore are more comfortable than the Falcon. I'm surprised by the acceleration of the turbo six, subjectively it seems just as quick as the Commodore." There's no doubt that the final iteration of all three cars will be remembered as the best of all, when it comes to refinement and the integrity of the overall package. It's a pity they turned out to be dinosaurs.